Light purple-blue flowers on a short plant that flowers through the heat of the summer. 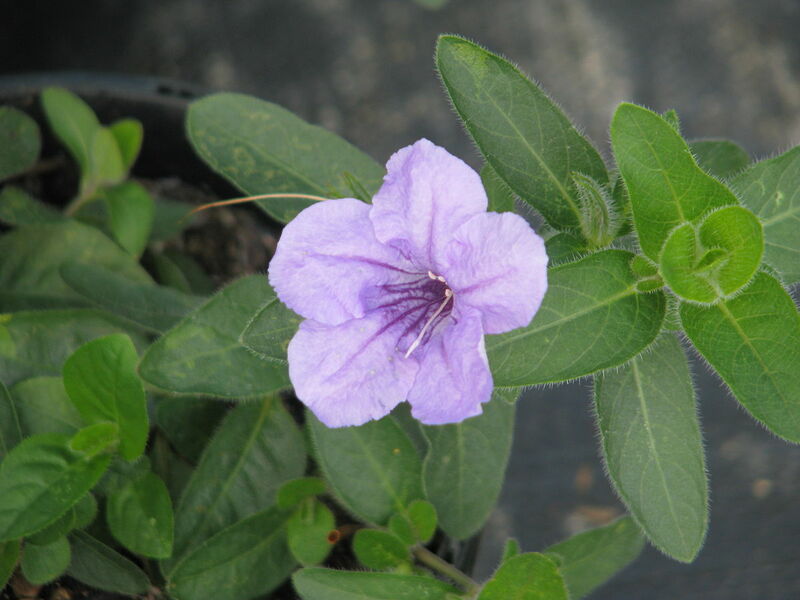 Instead of planing annual petunias, try the charming native wild petunia. Wild petunia is drought tolerant and blooms from summer to fall. It is particularly striking when planted in masses, and it weaves companionably through other plants.